"An Anti-Violent Inspection of the Death Throes of Democracy"
Julius Caesar enters Rome on the Feast of Lupercal as a hero beloved by the populace. He has triumphed first over the Gauls, then over the army of the Roman general, Pompey. When the senators see the reaction—including Mark Antony attempting three times to crown him as a king—some take this as a threat to Rome. Senator Cassius in particular has serious misgivings about Caesar's ambition. However, the popularity that Julius Caesar enjoys makes any plot against him particularly difficult. 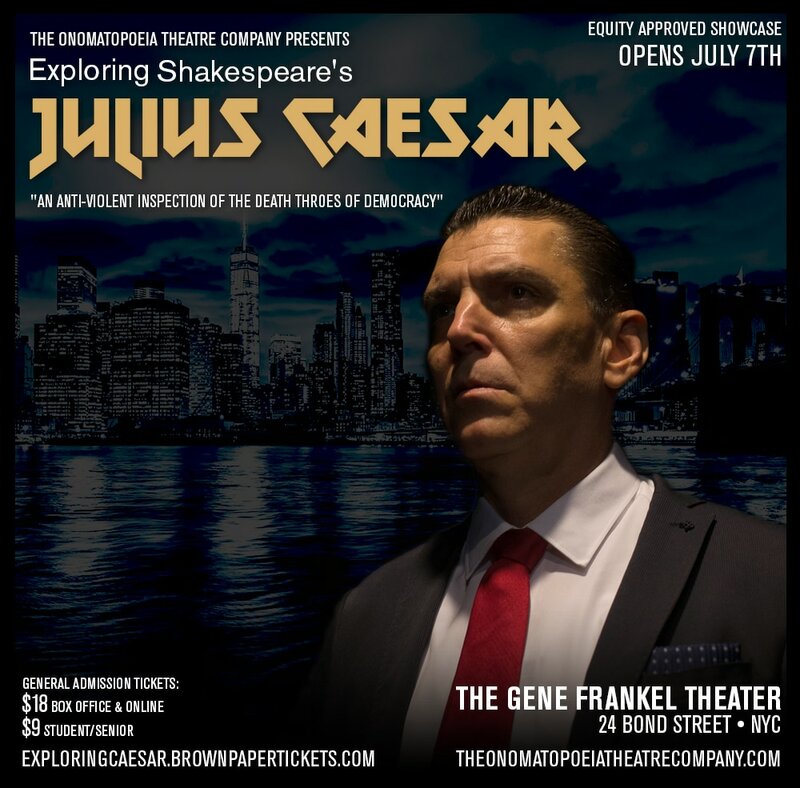 To offset Caesar's support base, Cassius makes overtures to Marcus Brutus, a nobleman known for his integrity and idealism; if Brutus were to support it, a conspiracy would seem more palatable to the citizens of Rome. As a great storm besets Rome, Brutus ponders his course of action. Disaster threatens the Republic, but the cure may be worse than the disease. The last great generation of the Roman Republic was full of good men… Yet in trying to save the Republic they only managed to violently tear it apart. Come join The Onomatopoeia Theatre Company as we explore the tragic mistakes these noble people made and explore how these lessons affect the world we live in now.